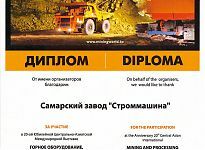 From 17 to 19 September 2014 Astana, Kazakhstan, hosted MiningWorld Central Asia (UFI Approved Event) – the largest and the most prestigious international exhibition in the mining and metallurgic industry of Kazakhstan and Central Asia. 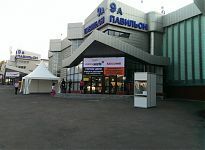 The exhibition brought together the leading producers and professionals of the industry and presented the entire complex of services and technologies for the mining and processing sector. 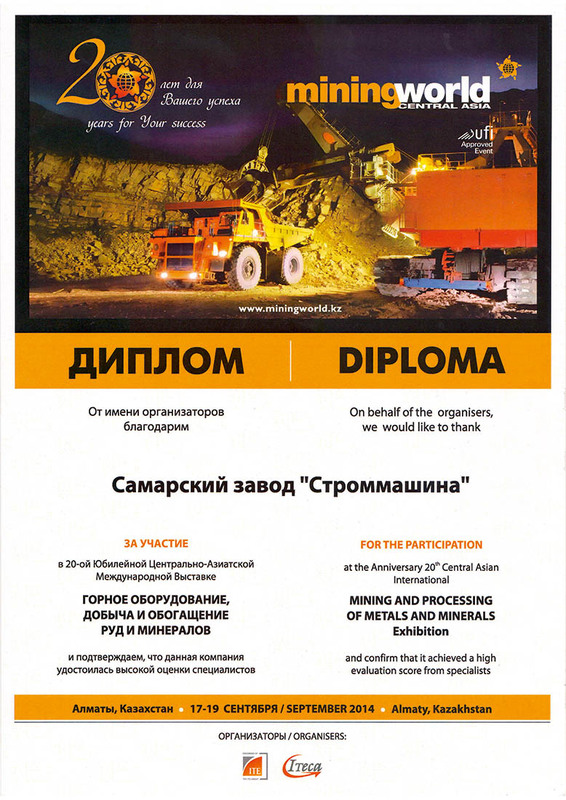 Over 20 years of its existence, the exhibition has become a traditional meeting point and a consolidation platform for the mining community of the Republic of Kazakhstan and professionals from over 28 countries. 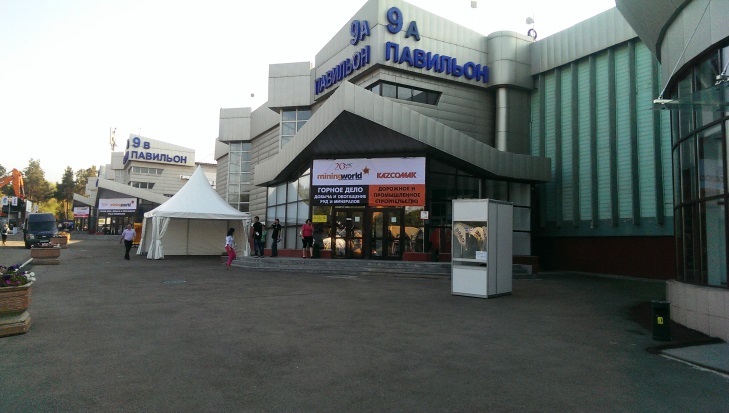 Every year, the exhibition demonstrates the emerging technologies and the latest achievement that later find commercial application in the mining and processing industry of Kazakhstan. 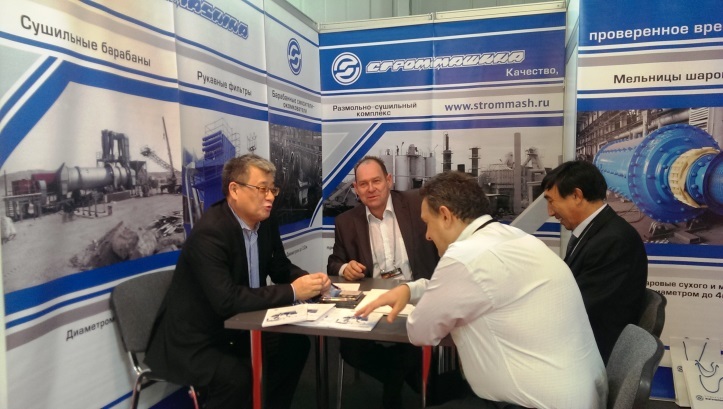 Samara Plant Strommashina exhibited the grinding and drying equipment for ore minerals and nonmetallic minerals, dust and gas trapping systems, transportation equipment and other processing units for the mining sector and metallurgic industry. Over the last year, the plant put into production new developments for the ore processing plants: tangential hammer-type mills with capacity of 60 t/hour, roller mills, drum mixers, drum granulators, lime milk production lines. 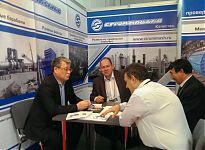 The plant will continue participating in such events to share its experience and present the development outlook and new projects of the company (roller mils, ball grinders with diameter of 3.5 m). Congratulations on Road Workers' Day!